Many Canadians are heading to the US to purchase tires for their cars. The simple message is that tires purchased for the same car and the same kind of tire are often 32% cheaper than in Canada. Cheap United States tires for Canadians means that most can save a great deal of money. For example my own set of tires would’ve cost me approximately $1000 including taxes, installation and wheel balancing for my car in Canada. The exact same set of tires purchased in the US would have been approximately $700. Many people view the savings of $300 as being typical. It is worthwhile for making a trip to the United States to purchase their tires. Particularly in border towns such as Cornwall, Niagara Falls, Windsor and Vancouver. Thousands of Canadians will head to the US just to purchase tires for their car. However the question is whether this upfront initial savings is really worth it or not in the long run? There are number of things to keep in mind when purchasing tires in the United States. If you need repairs to your tires, replacement tires, or have any difficulty with the balancing of the tire a trip back to the US will be required since no Canadian dealer will provide you with any kind of warranty support. For many people this is just not an issue and for $300 they will take the chance and purchase tires in the United States. The writer has discovered though that if you deal with a national chain tire provider, one that is also operating in the US, such as Costco you can have your tires serviced at any Costco store in the United States or Canada. In fact Costco provides for one price the tire installation, tire balancing, tire rotation, and filling the up the tires with nitrogen which is a more stable gas and retains air pressure in the tire for longer periods. Any Costco will service your cars tires as long as you have the receipt and the same set of tires. This is a good deal in my books. Tire rotation and balancing can cost as much as $15 or $20 per tire each time you have this done. If you have to pay for tire rotation, many people will forgo this step which means their tires may wear prematurely which lowers the overall savings. They will service the tires at any Costco in the United States or Canada, and the best part you get the price differential by buying your tires in the US as well. Even a set of tires purchased at Costco in the United States is between 20 and 25% cheaper than the same set of tires purchased at Costco in Canada. This is why many Canadians are heading south to the United States to purchase their winter tires, and summer tires and saving a great deal of money. Don’t forget that the tax is also usually much less than in Canada as well which provides added savings. We also want to mention that this is not an advertisement for Cosco. Do your research and look for the best deal that meets your situation. You may not have a Costco near you or you can get a better deal closer to home based on a negotiated price for the kind of tires you are looking for. Investigate and compare, then make your decision. Consumers really have to be alert when it comes to buying tires and figuring out whether the tire prices they are being quoted are really a good deal or not. Tire companies will have sales on at various times. If you catch one of these sales you can sometimes get a really good deal. 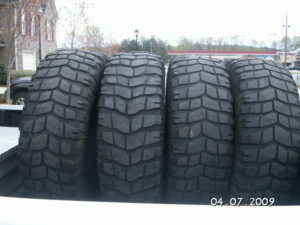 You have to know what the normal prices are for the tires that you are looking for. You should be really able to compare and determine if the deal that is being offered is a good one. In other words do your homework. Then make a decision using the criteria that fits with your needs. Prices, quality and ongoing services are several items to compare. In addition, most tire prices may or may not include services. For example services such as warranty, road hazard warranties, balancing, nitrogen filled tires, tire rotation, tire checks and top up of nitrogen or air depending on the type of tire you have. If these services are not included, they can be expensive if they have to be paid for separately. For example tire rotation and balancing can start at $15 per tire and go higher in many cases. If this service is included in the price, it can mean a substantial savings for as long as you own the car and have those tires on your car. These are details that the buyer needs to pay attention to in addition to the price of the tire. Tire prices are also based on how many miles the tire is warranted for. Cheaper tires will only last 20,000 miles while more expensive tires will last much longer, upwards of 50,0000 or 60,000 miles. If cash flow is an issue or if you do not plan to keep your car very long, you may want to go with a tire that is warranted for lower mileage and save some money. If you plan to keep your car for some time go with a tire that will last longer. You will need more tire rotations and balancing as a result so this also becomes an important issue for most car owners. Finally sometimes tire companies have a sale to get rid of older tires. These are tires that have been sitting around literally for a few years. They want to sell them at a discount to get them off their inventory. A tire should not be used if it is more than 7 years old. The rubber begins to deteriorate and will not last very long on your car. You can ask the tire sales person to show you the age of the tire and explain how to tell how old the tire is. Tire prices are complex and have many variables. So do your homework before buying new tires for your car. Can you imagine driving around on really old tires! It is one thing to travel at city speeds of perhaps 30 miles per hour. But what happens to an old tire when it heats up. Especially when driven at highway speeds of 60 miles per hour or even higher. In many of the western states it is not uncommon to see highway and interstate speeds of 75 miles per hour. If your tire blows out at that speed, you could suffer a bad accident if you lose control of your vehicle at those speeds. always check on the age of the tire in addition to all of the other things we mention when considering tire prices. Tire prices vary a great deal from one vender to another and the services that come with the price that is quoted can also vary a great deal. Consumers can sometimes save themselves a lot of money on just the tire price alone when they make their purchase. But getting a low tire price initially is not always the best deal. Compare total cost over the long term or the life of the tire. Other costs can sometimes creep in. Which makes that cheap tire price look very expensive over the long term. These costs will generally even out the overall cost of the tire with that of other tires that are pricier but include various services. This is how many dealers really make their money. Sell tires as a loss leader and then recoup the profits on services later. Read on to see why we believe that you should always include services such as balancing and tire rotation. All manufacturers of tires as well as car manufacturers will tell you that you can maximize the life of your tires. As well as maximize your car’s gas mileage if your tires are rotated every so many miles. In addition make sure that your tires are always in balance. Tire rotation can be included in the tire price for the length of time you own your car. Or you can choose to exclude this feature and do your own tire rotation. Although it is a bit of work doing your own tire rotation. It is no problem provided that you follow the necessary safety requirements. Make sure the lugs are placed on tight enough when you replace the tire. 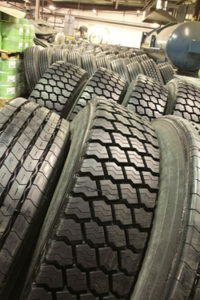 But tires also must be balanced and they are usually are balanced when you purchase the tires and have them installed. However you can lose the weights on your car’s tires. 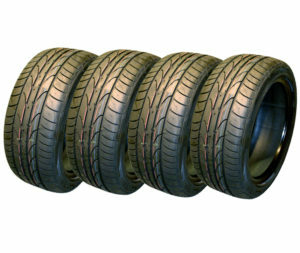 Your tires will suddenly be out of balance causing unnatural wear and tear on the tires. Your car’s tires will wear out much more quickly. There may be vibration in the front end which can also wear out your shocks much more quickly. You cannot balance tires yourself. An expensive machine is required. When tire rotation and balancing is included in the tire price, take advantage of it. Each rotation and balancing can cost as much as $20 per tire or more in some cases. After several of these episodes your cheap tire price without these services might end up costing you much more than what you originally thought. This is the crux of the question. Will your tire price and money you save by not taking the services offered save you money over the long term? Or will you spend more on tire re-balancing, tire rotation, premature tire replacement, premature shock replacement and possibly even ball joint replacement. For my money I would always take a tire price that includes all of these services and then I would make sure to keep my tires at an optimum level of service. This approach will keep my car safe, it will stop premature wear and tear and I will get better gas mileage as well. Always compare like for like services when you are shopping around to make sure that you get the best deal. 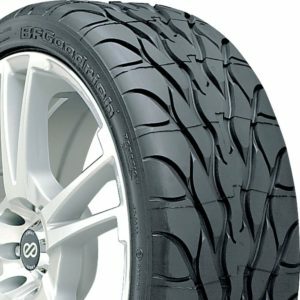 Looking for tires online can be quite rewarding. without leaving the comfort of your home, many people can now search for tires for their cars and make their purchases online, arrange for them to be delivered and then show up at the dealer to have them installed. This is a very convenient way to purchase tires, however there are a number of cautions that consumers need to be aware of when they purchase tires online in this manner. For example, where will you have the tires shipped? Who will install them and how much will you pay for the tires to be installed and balanced? You may save on the purchase and lose out on the installation. First of all the price they pay for the tires may include shipping and taxes to the location where you can have the tires installed. However the price may not include installation or balancing of the tires before they are placed on your car. This extra cost can be as much as $20 or more for each tire and with taxes amount to over $100 in extra cost. Some tire stores will match prices including the installation cost to shop around for the total package before you make a decision. Another concern is warranty and services. Some companies will offer free tire rotation every 12,000 miles , free tire balancing and checking of tire pressure. If your tires have nitrogen in them, this could include topping up as needed with nitrogen. All of these services are quite costly if you must pay for them individually. Finding a great deal on a set of tires without these services and features can mean that your great deal is actually more expensive than some other online tire deals that do include all of these services. Compare carefully before you make your decision to purchase tires online. As you can see there is a lot to take into account when buying tires for your car. Negotiate based on the final price and the services you want thrown in. Personally we like the idea of having all of these services included in one price from a national dealer. I can use their services regardless of what city I might be in. I can have my tires balanced and rotated anywhere in the country for free. Because it was included in the price of the tire when I purchased it and I maintain my car properly! For more about buying tires while on the road, tire sales, etc., click here. Have you ever checked out some of these online tire web sites that cater to all kinds of cars and customers? Almost all of the major tire companies have online tire sales available. Customers can order their tires online and have them shipped almost wherever you would like. In fact you can order them to be shipped to the nearest dealer closest to you. Or you can even have them shipped to your home. You will have to pay shipping and tax of course. If you are crossing borders, you may have to pay brokers fees and import duties. Before you decide to make your purchase find out what costs you will have to pay. Compare to the cost of buying locally at your closest tire dealer. These additional fees can add up in a hurry. It is always a good idea to take into account the total cost of your purchase. Also tire dealers will often have sales on as well which may in the end be the best buy! 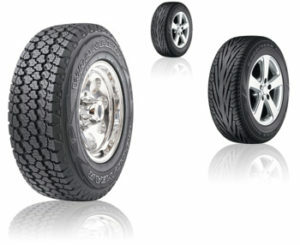 Consumers can usually find pretty good deals for these online tire sales web sites. 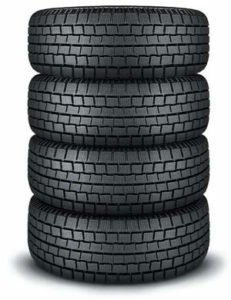 It is an easy way to shop for tires online and customers can easily compare prices. 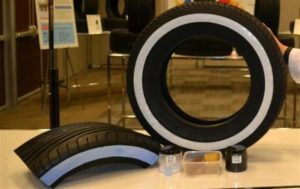 What consumers need to remember is that there is still the cost of installation to be added along with the cost to balance the tires. This cost can add another $20 or $30 dollars to each tire. This is really the cost that you need to compare to and not just the cost of the tire, unless you have your own wheel balancing and installation equipment, which most people do not have. Some of the larger chains will arrange for the tires to be shipped to the dealer located closest to your location where you can have them installed for an additional fee. Again include this fee for installation when you are comparing tires that your purchase online. When you ship to their store they will sometimes waive shipping costs. Finally compare the services and features that you will receive when you purchase tires online. These may include free wheel balancing, free tire rotation and free top up with nitrogen for as long as you own the car. These services can be quite valuable and make the difference between purchasing a set of tires from one online tire company vs. another company. Almost all of the major tire stores such as Costco, Americas Tire and Canadian Tire support these types of services. They charge in different ways so consumers need to compare the total costs of purchasing and maintaining tires. Free tire rotation can be worth as much as $60 when you consider that a lot of places will charge $15 per tire or even more to remove the tire, balance the tire and then reinstall the tires according to the rotation that is required by the manufacturer. this is just one example of factoring costs into the price that you pay for tires. We travel a great deal by car, so buying from a national chain is also important since it means I can take my car into one of their shops in any city and have the tires rotated for free.
. There are literally thousands of tire dealers available and for good reason. Lot’s of money can be made from selling tires to consumers. Dealers make money when they sell tires, specialized rims, summer tires, winter tires, all season tires and specialty tires. If they are a multipurpose place, they will also repair muffler and may even complete auto repairs as well. Should you go to a specialty tire store who only focuses on tires or should you go to a dealer that you have faith in and provides maintenance repair services as well? Then there are the tire repairs that are often needed. Rebalance tires, fixing flat tires and so on. It never seems to end and they make a lot of money off these services. The question a lot of consumers ask themselves is where should I purchase my tires and how can I get the best deal for tires? The old answer is just the same as always. Do your homework, shop around, compare prices and negotiate if you can. Take into account services that are provided and if they are valuable to you, then add these services into the equation while making your decision. Services might include tire rotation included in the price, tire repairs, tire inflation with nitrogen and so on. Some consumers will obtain a great deal for their tires from a tire dealer, but then they have to pay $15 a tire to have the tires balanced and rotated after so many miles. That is a total cost of $60 which can add up to a large number over a few years if you drive a lot. Paying at bit more with tire rotation and balancing included might be a better deal. Some consumers also value being able to go into clean comfortable and warm dealerships when they have their tires replaced. They want to be dealing with what they consider a professional company and a clean tire dealer is one way of getting the impression that the dealership is professional and doing a good job at providing service to their customers. Personally we have found that Costco has the best tire prices. They have the best service for replacing tires, rotating tires and generally looking after everything to do with tires regarding your car. 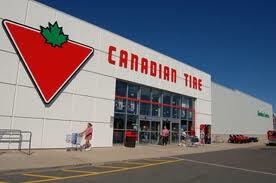 They have stores all over the country including Canada and the US and Mexico. As well as in many other countries depending on where you’re driving. You can have tire maintenance done at any of the stores as long as you have a receipt for your tires that you purchased at Costco. Costco will rotate your tires, balance and check the air pressure for as long as you own the car. If your tires are filled with nitrogen, they will also refill or top up your tires as needed with nitrogen.